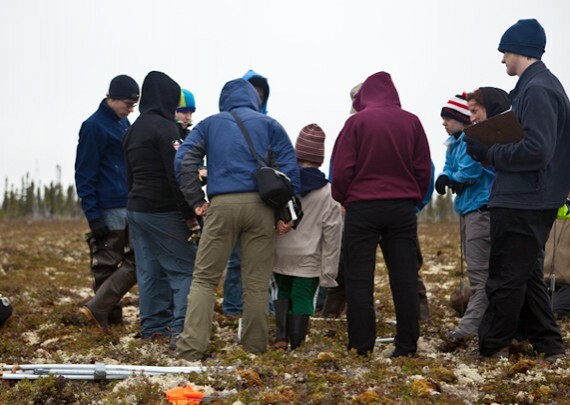 The ISAMR (International Student-led Arctic Monitoring and Research) program works to monitor climate change in the subarctic region through generating long term research projects, giving students the opportunity to conduct original, scientific research. In addition, we educate ourselves on the science surrounding our research projects and the cultural differences and social issues of the indigenous people in our study area. 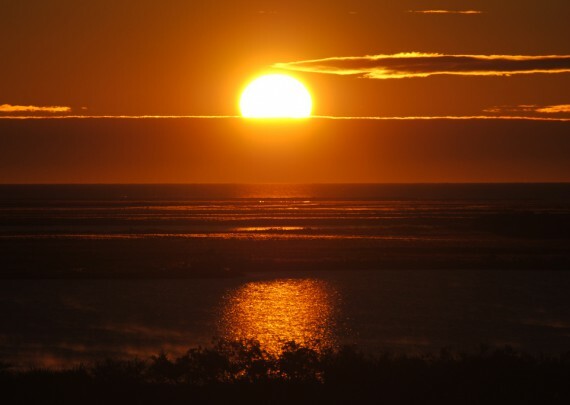 Together with Kelvin High School in Winnipeg, Manitoba, and the Junior Canadian Rangers in Churchill, Manitoba, the Park School's branch of ISAMR travels to Churchill on the edge of the Arctic Circle. This opportunity is offered to students twice a year, October and August — each trip with their own distinct research focuses. The research of the August trip is centered around the permafrost and vegetation of several common habitat types in the area. 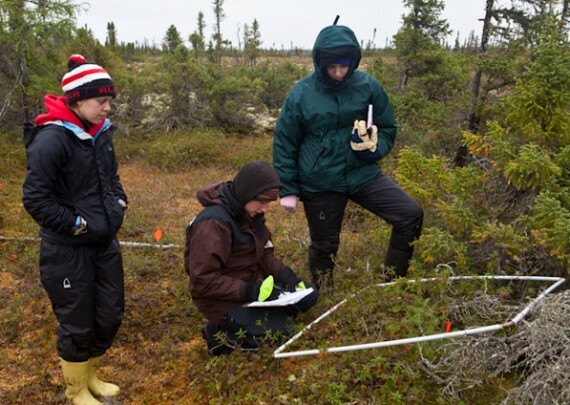 The end goal is to create a predictive model for the Active Layer Thickness (layer of ground above the permafrost that freezes and thaws annually) based on the vegetation cover, surface indicators, and other environmental factors. 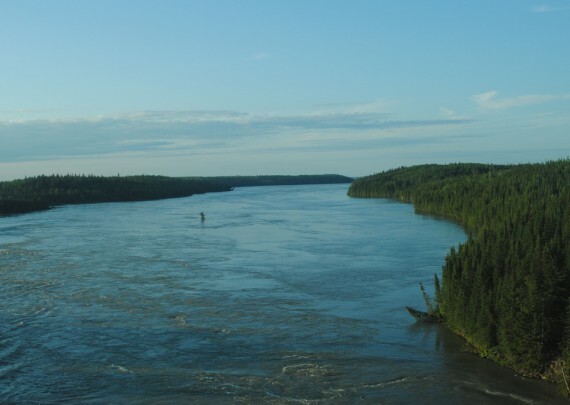 ISAMR works very closely with Dr. Ryan Brook of the University of Saskatchewan, Dr. Jim Roth of the University of Manitoba, and Parks Canada to further enhance the research. The October trip is centered around a less-invasive polar bear mark-and-recapture technique that uses photos of polar bear whisker prints to uniquely identify them. Each bear has its own whisker print, analogous to a human fingerprint. Using software developed by Dr. Jane Waterman of University of Manitoba, whisker prints can be extracted from photos and identified. 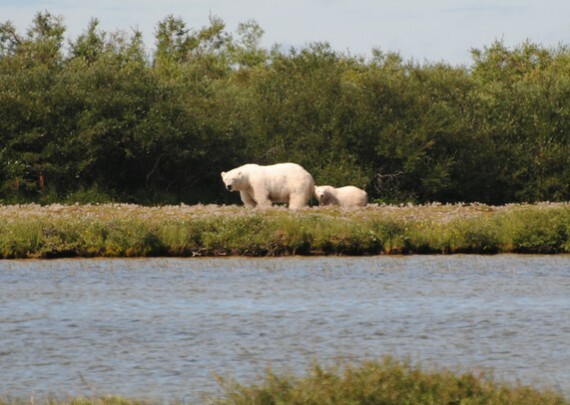 The objective is to create a running library of whisker prints — with photos contributed by tourists, citizen scientists, and researchers — to reliably record the state of the polar bear population in the Churchill area. ISAMR has contributed, under the aegis of Dr. Jane Waterman, to this research. Students from ISAMR have so presented their research at four conferences, written multiple reports, and regularly give school-wide presentations. Access photos, videos, and blog posts written by participating students on the ISAMR website. 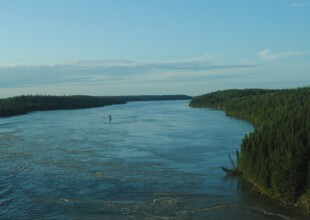 On the train to Churchill. Photo by J. Gorman. 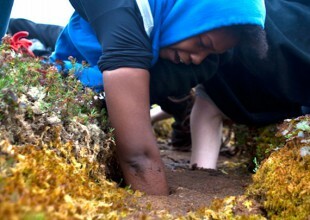 Students feeling in the mud for permafrost. Photo by K. Whitney. Polar bear with cub. Photo by J. Gorman. Sunrise at Nester 1. Photo by J. Gorman.